You can be part of this exciting new evangelization effort! We Now Have a Home! Through God’s grace and provision, Firstfruits opened a new, permanent home on October 10, 2017 in 2300 sq.ft of space at 890 Elm Grove Rd. in the Village Court in Elm Grove, Wisconsin. I invite everyone to be bold and creative in this task of rethinking the goals, structures, style and methods of evangelization in their respective communities. That is just what Firstfruits hopes to do in our new home. We invite you to be part of this new evangelization effort. We are counting on you to spread the word and to keep Firstfruits in your prayers. We also ask that you prayerfully consider supporting Firstfruits through a financial gift or a donation of items on our Wish List. Your donation will help with the cost of remodeling the space in addition to securing that we have the two years of monthly rent checks in the bank. Thanks to the generosity of our friends, we already have ten months secured. Any donation amount would be greatly appreciated. Please see our Wish List below for items we need. We are so excited to share this news with you and look forward to sharing this new space with you, too. Praise God for His faithfulness, provision and love! Note: PayPal account is not required. Contact Joan for Offline Donations. 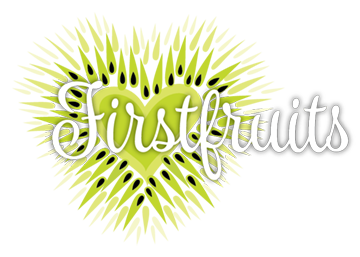 Firstfruits is an independent, 501(c)(3) organization, and donations are tax deductible as allowable by law. Remember, you can also support Firstfruits on Smile.Amazon.com with a percentage of your everyday purchases. Just add Firstfruits as your ‘supporting charity.’ No cost to you, but a valuable kickback to us:) Learn more! Contact Joan Carey at 262-271-7859 or via Email. Last, but definitely not least, we humbly ask for your prayers for Firstfruits. Firstfruits would not be a reality without God’s continued grace and guidance. We request and rely on prayers that the Spirit guide the way for Firstfruits and for the women we serve.